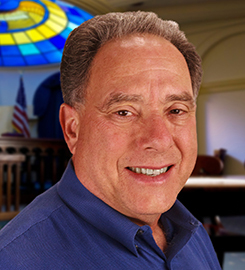 Gruber practiced law for nearly 42 years, specializing in real estate and commercial litigation, most notably with the law firm of Gruber & Donnet, APLC. His private practice included issues involving lending institutions, title companies, escrow companies, real estate entities, trust deeds, brokers and agents, and buyers and sellers. Professor Gruber teaches civil litigation and is a supervising attorney for USD's Civil Clinic. Gruber has served as a judge pro tem and served for many years as an arbitrator for the San Diego Superior Court. For the past 25 years, he has served and continues to serve as a member of the American Arbitration Association’s National Panel of Commercial Arbitrators. In addition to arbitrating commercial and real estate disputes, Gruber serves as a mediator of commercial and real estate matters, having been approved as a panel member for the San Diego Superior Court, the American Arbitration Association, and the San Diego Real Estate Mediation Center. He has supervised the Civil Clinic program at USD for nearly 22 years and the Landlord-Tenant Clinic at USD since 2008. Submit changes to Allen Gruber's profile.